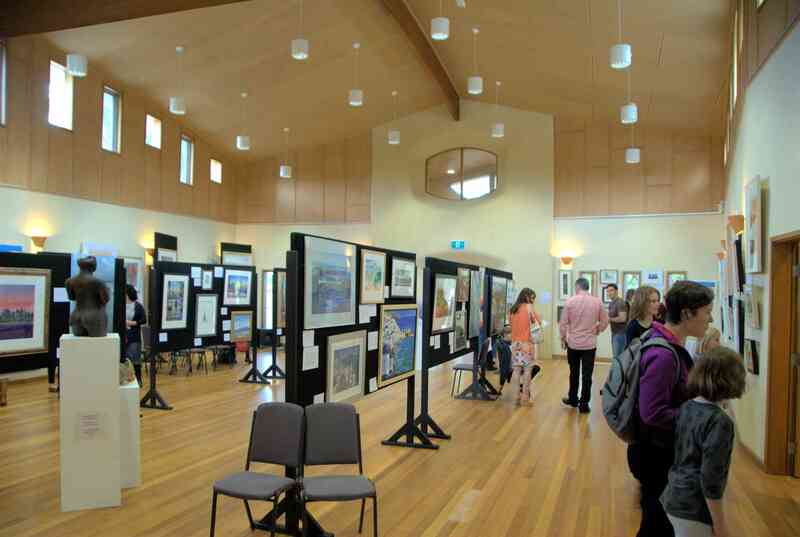 Warranwood Art Show's Opening Gala evening in April 2017 saw over $5,000 in prizes awarded to artists for artworks in variety of categories. Artist, Ted Secombe, was awarded Best in Show for his beautiful matt crystal high fired porcelain, Large Orb Beaded. 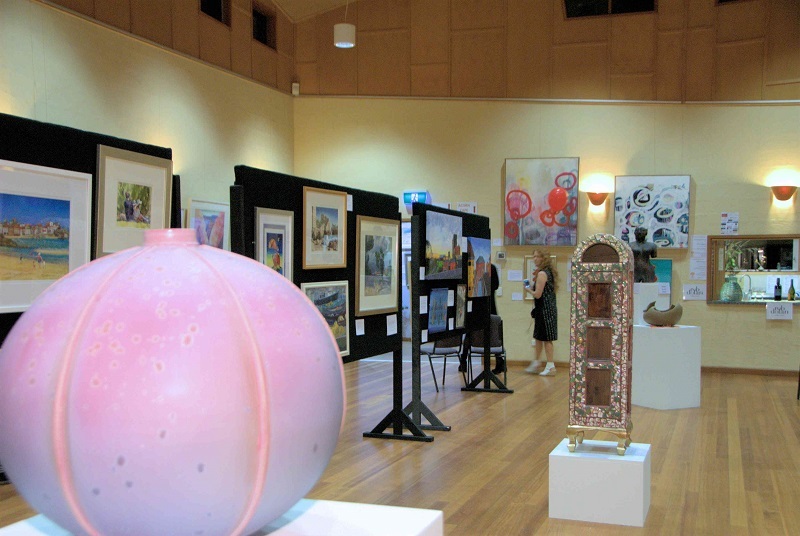 The awards, artworks and wide range of mediums on display delighted many with much discussion as new mediums were examined, inspiring artists and art fans alike. On speaking about the artwork chosen for the Best in Show Award, 2017 independent judge, Jeannette Davision, Monsalvat's Arts Manager said, "I can't help thinking that the work I’ve chosen for this most prestigious award will be on prominent display in a large prominent gallery in 300 or 400 years time. Then art lovers at that time will marvel at its flawless technique, its scale, and of course the undeniable beauty of its glaze. Ceramic artists of the day will study the artist’s techniques and take inspiration from this work. "Travel back in time to today and I’ve no doubt that you will have noticed this work as you entered the gallery space. If, like me, you were 'stopped' by that work and found it necessary to walk around it, to then examine it from every angle....and wished you could touch its beautifully rounded shape and felt clearly humbled by the display of impeccable technique, you’ll understand why I have awarded Ted Secombe’s work ‘Large Orb Beaded’ winner of ‘Best in Show’ (2017)." 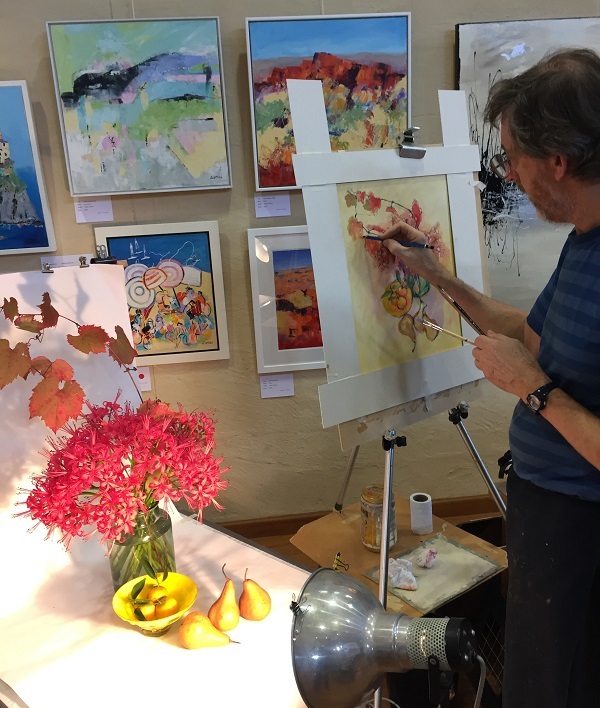 Exhibition Weekend followed with artist demonstrations, sublime music performances and thrilling opera singing added to the heady mix of highlights with show-goers enjoying all that was on offer. There was much for show goers to see, experience and partake in. A wide range of mediums was on display ranging from paintings and drawings, etchings and mixed media, digital art and photography, ceramics, sculpture, textile works and jewellery. 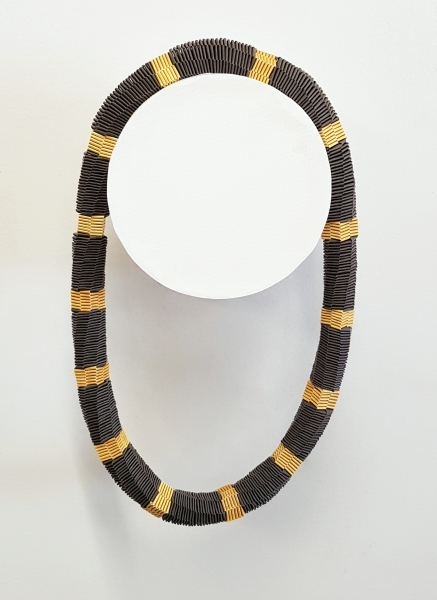 There was art to collect, to adorn, for the office, home and garden by professional and emerging artists from local and regional areas across Victoria. Visitors enjoyed observing the artist demonstrations up close, gaining insight into each artist's skills and technique. Many tips were shared and it was pure delight to watch the artists demonstrating their art. 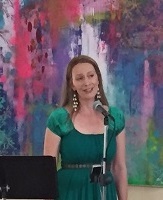 Award winning contemporary artist, Jenny Scholes, was the show's 2017 Feature Artist and had much to share, demonstrating and speaking about her contemporary art style to the crowd. Dynamic Bend of Islands artistic duo, Syd Tunn and Ona Henderson were a delight with visitors observing Syd in action whilst Ona spoke. Their love of art was evident as they shared their skills, art and technique. Artistic performances had visitors enthralled with music and song - opera with Dominique Oysten and Cherie Baxter's beautiful signing through the weekend. Jazz, modern and classic strings performances by talented students were the perfect accompaniment to view art during Saturday afternoon's Art & Wine segment. Warranwood Art Show congratulates the 2017 winners and thanks all the artists, musicians, performers and the visiting public for joining us yet again for what was another sensation art show. ...comments expressed by show-goers April 2017.